While the western mainstream media meme is that “this is all China’s fault” – despite the fact that the real break happened after the FOMC Minutes last week – Xinhua reports that China central bank blames wide-spread expectations of a Fed rate hike in September for the global market rout… demanding The Fed “remain patient. A researcher with China’s central bank on Tuesday blamed wide expectation of a Fed rate rise in September for the global market rout. Yao Yudong, head of the People’s Bank of China’s Research Institute of Finance, said the expected Fed rate hike next month had been the “trigger” for the wild market swings. Analysts worried that the Fed rate hike could accelerate the plunge of U.S. stocks and trigger a sell-off of assets worldwide and even a new global credit crisis. Yao said the Fed should remain patient before the U.S. inflation reaches 2 percent. Earlier, analysts said the devaluation of Chinese currency the Renminbi triggered the plunge and the weakening of bulk commodities and currencies in other countries. China’s benchmark Shanghai Composite Index sank 7.63 percent to close at 2,964.97 points on Tuesday. It has lost 26 percent in the past six trading days. Overnight, the Dow tumbled 588 points, or 3.58 percent, to 15,871, after sliding more than 1,000 points, or 6 percent at the opening. 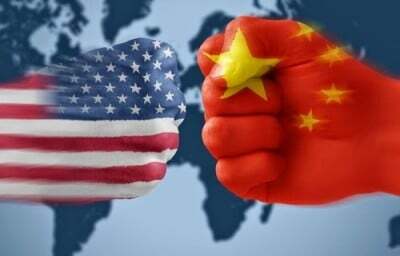 Li Qilin, analyst with Minsheng Securities, said the small devaluation of Renminbi could have slightly weighed on stock markets, but it could not explain the huge sell-off in the United States and other countries. Li said the liquidity crunch is a bigger culprit. The global rout has little to do with economic fundamentals and the Asian financial crisis would not be repeated, Capital Economics said in a research note. But it said if the market plunge continues worldwide, the Fed might postpone its rate hike. Which of course is supremely ironic since Goldman Sachs explains the biggest reason for the China rate cut overnight is the market rout, implying PBOC only cut because of The Fed’s expected hike actions.